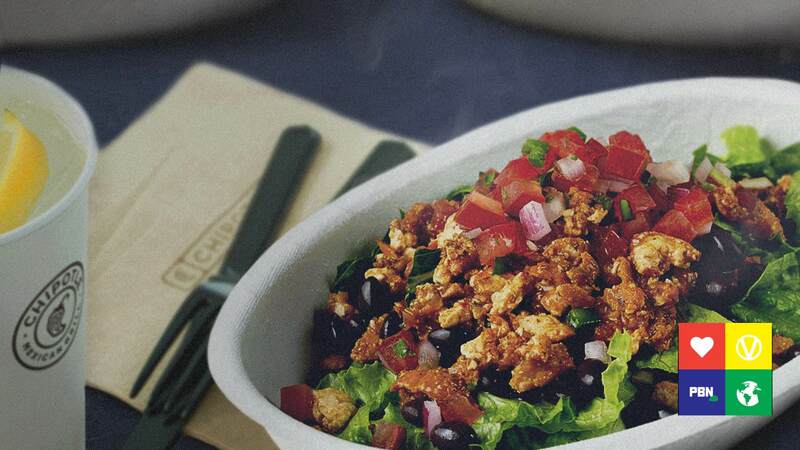 Fast food chain Chipotle has launched its first ever vegan protein option in all six of its London restaurants today. The braised tofu (sofritas) is made with onions, garlic, cumin and paprika, all simmered in chopped tomatoes with a sprinkle of oregano. It is available in burritos, tacos, burrito bowls and salads and, according to the brand, 'can be easily customized to suit your training regime, dietary requirement, or personal taste with other signature ingredients, including white or brown coriander-lime rice, pinto beans, salsas and guacamole'. In a statement sent to Plant Based News, Jacob Sumner, Operations Director - Chipotle in Europe, said: "We are changing the way people think about and eat fast food. Braised tofu is a very different menu item not just for Chipotle, but for any fast food or fast casual restaurant. "It was really conceived with vegetarians and vegans in mind, but it’s so delicious that we believe it will have a broad appeal on taste alone. We are proud to be able to serve those looking to avoid meat, or lower their meat intake, with a substantial protein alternative." 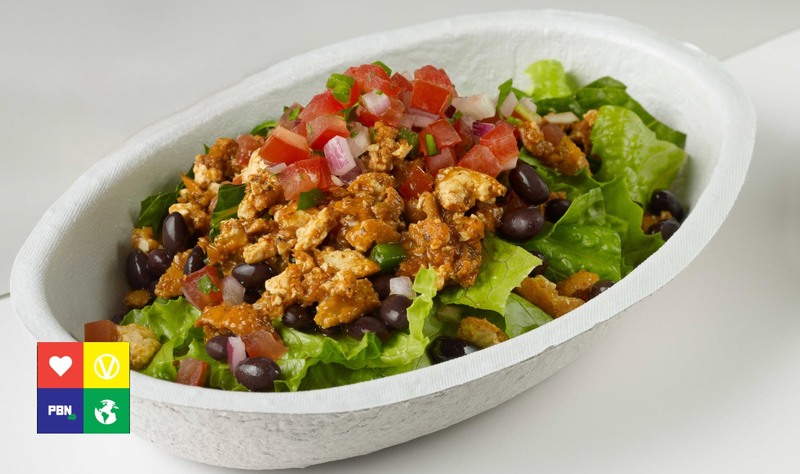 The Vegan Boost (£7) is a new set meal item; a low calorie, gluten free salad which features braised tofu, black beans, fresh tomato salsa and romaine lettuce, at just 305 calories.